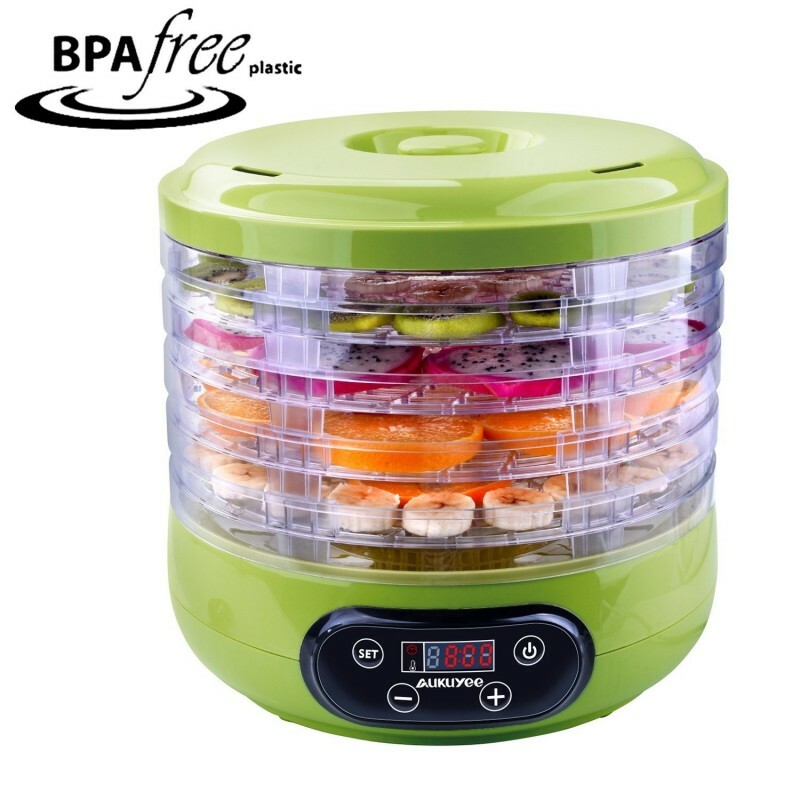 This food dehydrator is made of plastic that is BPA free so it won't expose your food to cancer-causing chemicals once it is heated. You will also love it for the fact that it comes with a control timer that you can use to set the amount of time you want your food to be heated and also a digital thermostat control that can you can use to specify the amount of heat you wanted to be used on each type of food. 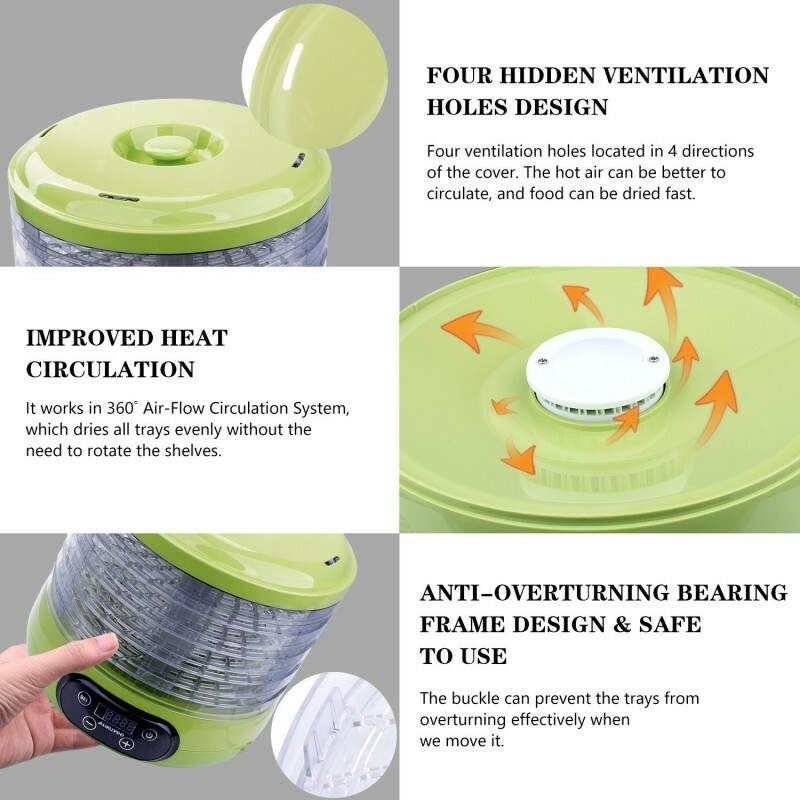 It is designed with an airflow circulation system that ensures the heat is distributed evenly on all the trays to ensure the food is dried appropriately. However, since it is a vertical food dehydrator it is not very efficient for dehydrating meats. 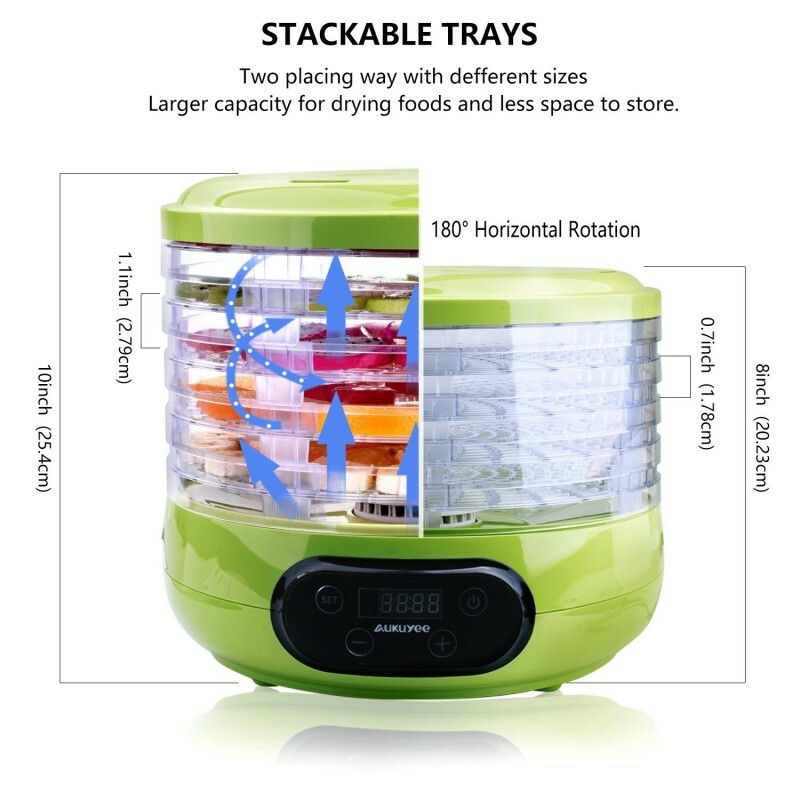 You will love that it does not take up much Kitchen counter space since it comes in very small dimensions. 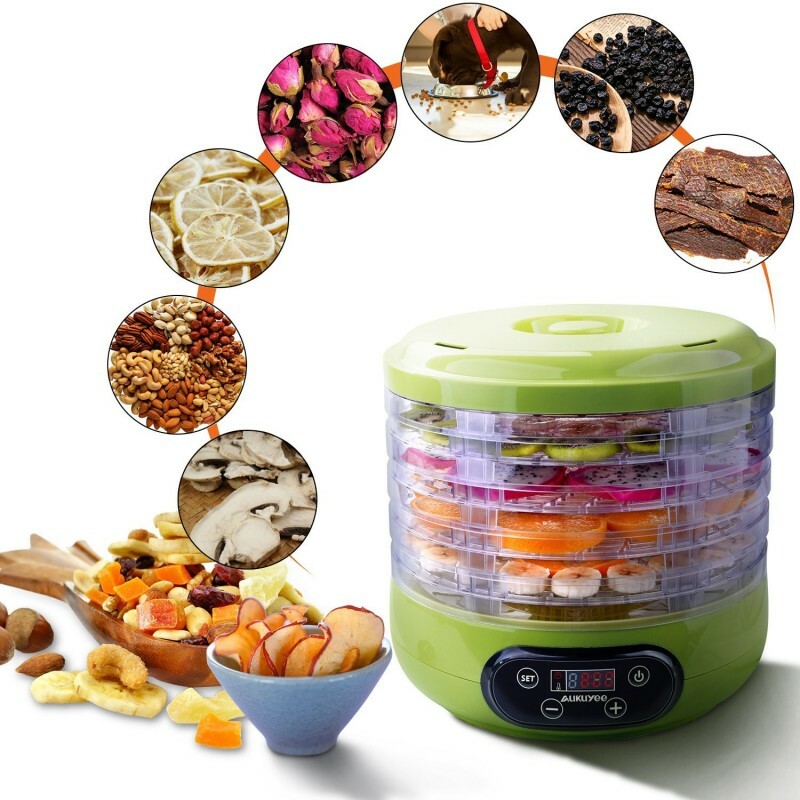 It can be used to dehydrate a wide variety of foods like nuts, fruits, vegetables, and rolls. Your health is safeguarded by the fact that it is made of a BPA-free material that does not put you at risk of cancer. 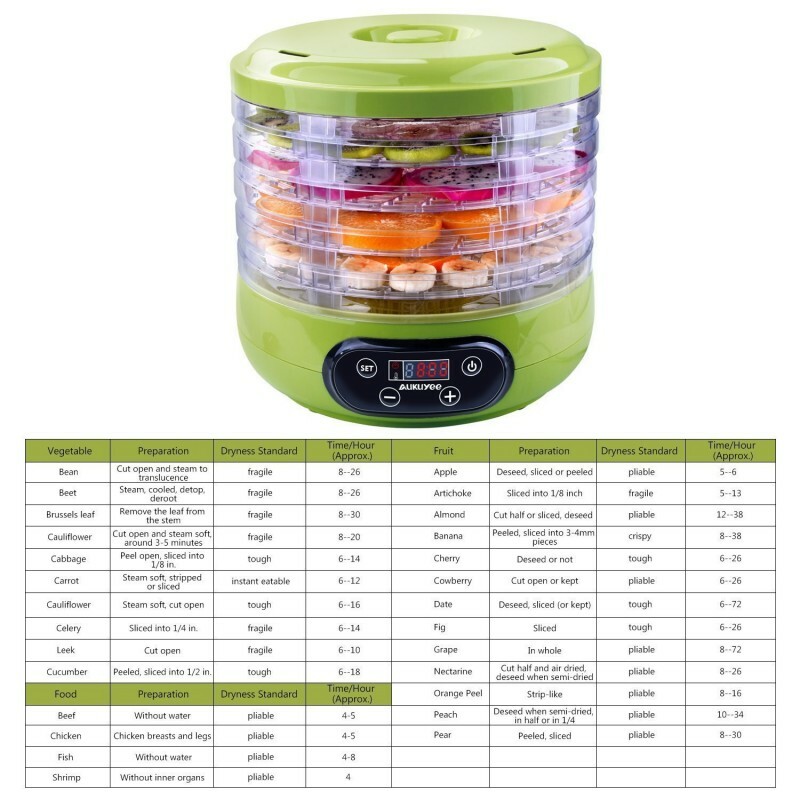 It comes with a timer that you can use to specify the amount of time you want the food to be heated thus preserving its nutritional value. You will also love that it comes with a digital thermostat control that will allow you to specify the amount of heat you want to be used on the different kind of foods. 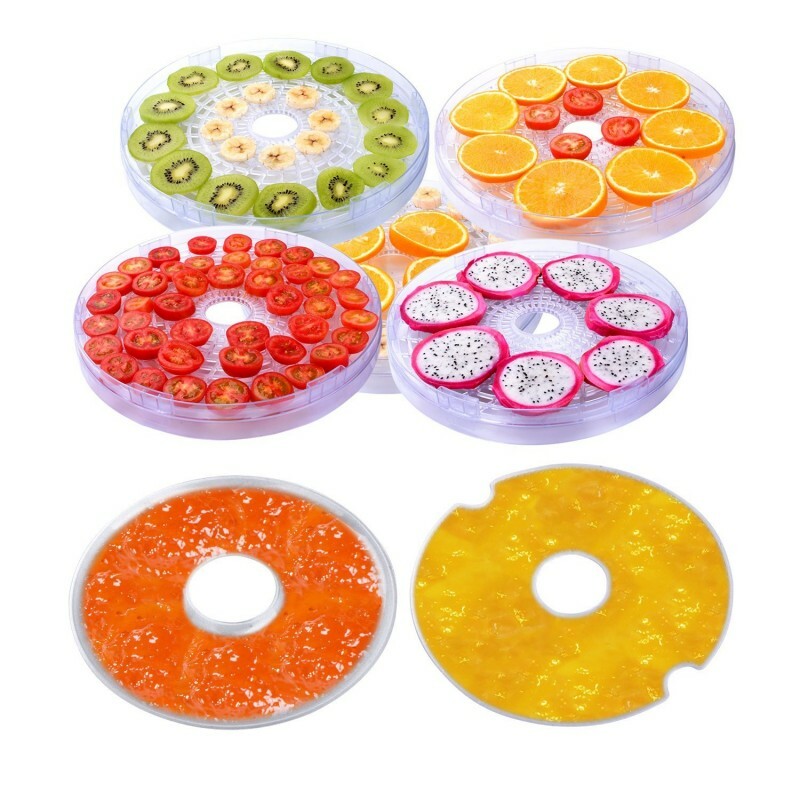 It can be used to dehydrate food in bulk since it comes with five stackable trays that are also spacious. You can trust it to supply heat in an even manner on the food contained in the trays thanks to its 360-degree airflow circulation system that guarantees this. 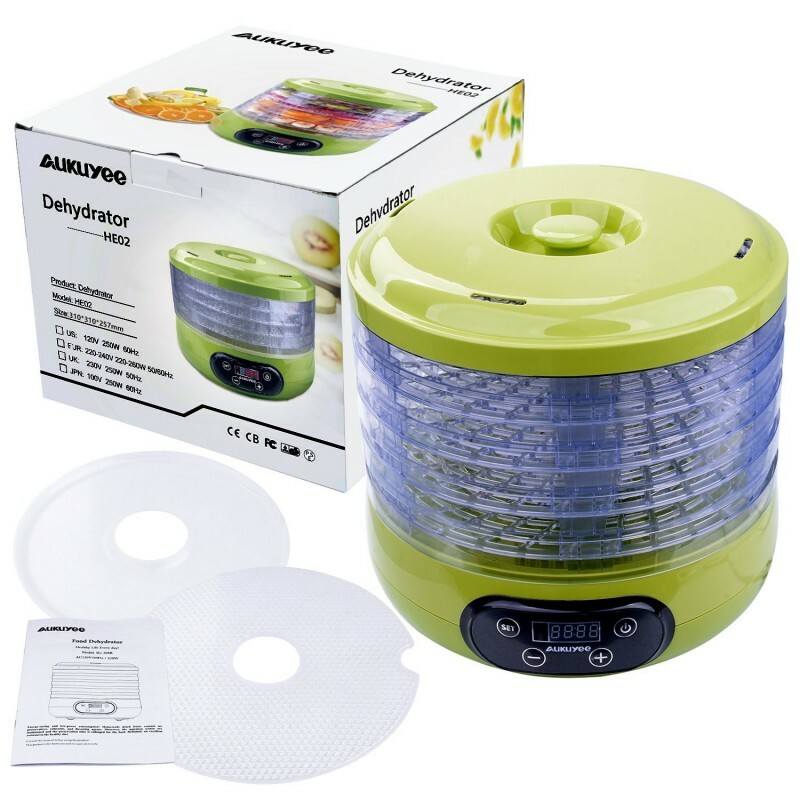 It comes with a transparent cover that allows you to monitor the dehydration process. It is not ideal for drying meat.